The significance of names in various American Indian cultures. How names are/were given in various American Indian cultures. The meaning of their own names and the contribution of this meaning to one’s identity. How does a name influence who we are and who we will become? How are/were names given in various American Indian cultures? What does my name mean? What is its history? Listen to audio recordings about Indian names and extract ideas about identity, community, and relationship related to the practice of bestowing names. Evaluate events recorded on video and bring text information into their formation of an accurate understanding of the events. Define what characterizes an elder. Explain the purpose and process of naming in various American Indian communities. Demonstrate value for identity related to names. Discussion #1 on Indian names video clips – Can students analyze what is being said in the videos to extract ideas on the concept of identity, community, and relationship? Discussion #2 on the Apsáalooke naming ceremony – Can students correctly evaluate what is taking place in the ceremony? Discussion #3 on choosing a namer – Can students effectively extrapolate the character of an elder? demonstrate an ability to engage in the oral tradition by telling the name and related story in a public context (the peer group). Listening peers should demonstrate respectful listening patterns. Allow 10 minutes for students to share their answers to the questions below with either small peer groups or the whole-class learning group. How many of you know the meaning of the name your parents chose for you? Have they ever told you why they chose the name they did? Based on its meaning, do you feel your name fits you? Many cultures have traditional practices related to naming children. Do any of you know the traditional naming practices from your own heritage? (Teachers may wish to share the origins of their names and how this meaning may or may not influence his/her life.) Many American Indian people in contemporary society today carry two names, their English names and the names given to them through ceremony in their own languages. It is important to know that when you read books or see media where the Native character has an “Indian name” like Little Dog or Soaring Eagle, that is not their actual Indian name. Their actual Indian name is in their own tribal language. It is only conveyed in English so that English speakers can understand its meaning. Most American Indian naming traditions have a special person, usually an elder, name the child or young person with a name that is expected to have an influence on them for the rest of their lives. View the clips showing American Indian students talking about the impact their names have had on their daily lives. Choose one of the students in the videos we watched and reflect on the following questions (analysis). What effect does the student’s name have on his/her personal concept of identity? What effect does having an Indian name have on his/her connection to his/her tribe or community? What effect does being given a name have on the relationships he/she has in life? Today we are going to specifically discuss the tradition of naming children among the Apsáalooke. View the video that describes an Apsáalooke naming ceremony. What are the characteristics of the ceremony that you observe? List student feedback on the board. Read the description of the Apsáalooke naming ceremony by Luella Brien for additional insight. Add any additional characteristics to your class list. What was the name given to Shane Doyle? How was this name related to the life of the elder bestowing the name (what was the story related to the name)? Fast-forwarding into the future, in what ways do you think this name will influence Shane’s life? Now let’s apply these ideas to ourselves. If you could choose someone you really respect to give you a name that is rooted in a story from his/her life, and that will stay with you for the rest of your life, who would you want that person to be? Define why you respect this person. Why do you think he/she would be capable of giving you a good name? Let’s say you were that respected person. For this assignment you will choose a name from your own cultural heritage (German, Irish, Scottish, Philippine, Japanese, etc.) based on the name’s meaning, that you would consider giving to a child. Using the Apsáalooke tradition of naming a child in accordance with an important story related to the namer’s life, write a story from your own life that is related to the name you have chosen for the child and that you would tell the child during his/her naming ceremony. After writing your story, explain the ways in which you hope the name you give will influence his/her future life. In small groups have students engage in role play where they speak as the naming elder, telling their stories and bestowing their chosen names. How has your understanding about what it means to have an Indian name changed throughout the course of our discussions and learning about naming? How have our discussions and learning in this area influenced how you think about your own name and your own cultural heritage/traditions? In what ways do you think your name has contributed to the construction of your identity or your concept of who you are? Struggling learners may be given more time to respond to the questions posed in discussion if they are allowed to take a list home and respond in writing or through voice recording. (Many students have phones with recording capabilities and can send audio files to a teacher’s email.) Struggling learners should be provided assistance in locating a name (possibly through internet resources on name origins) and making a connection between their life experiences and the name. Students who struggle with public presentation could be allowed to read their stories or read/tell their story to a single peer who could then relay the story to the peer group. Advanced learners should be challenged to research their own genealogy and examine the names that have been given to their ancestors. They could also look into whether or not the culture of their heritage had/has any beliefs/traditions regarding names. Advanced students could also research naming traditions for other American Indian tribes and compare them to the Apsáalooke tradition. The book A Boy Called Slow provides a Lakota Sioux perspective on naming traditions and explains how Sitting Bull received his name. 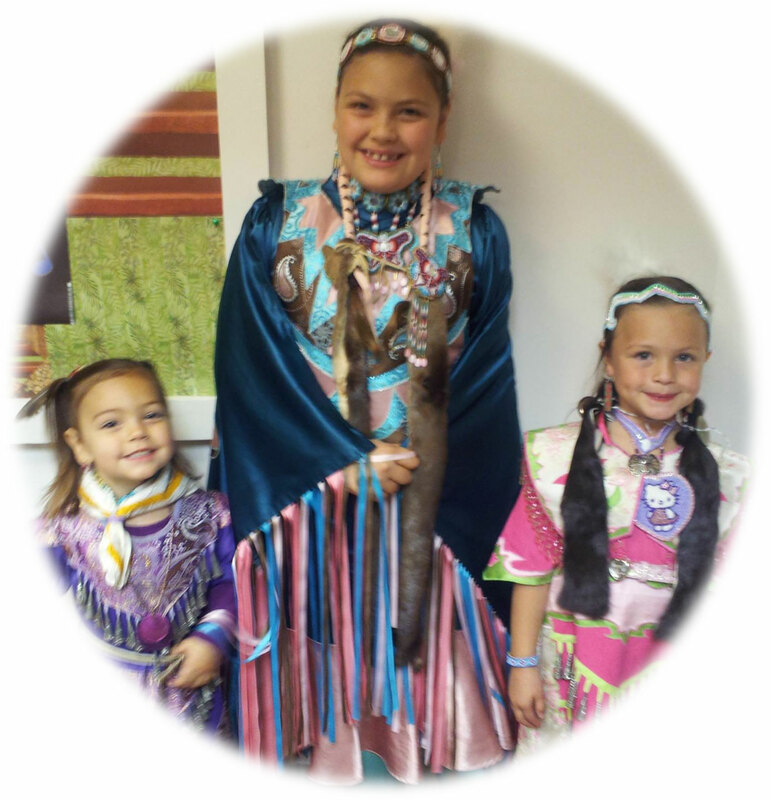 Attached reading The Story Behind Family Names provides a Blackfeet perspective on names. The text provided on the internet link comes directly from the Tribal Histories Project which records traditional knowledge through community members in order to preserve tribal histories.